A few weeks ago, I was finishing-up at Lucky Dog, when a severe thunderstorm hit. I'd been planning to run a couple of errands after work, so I was pretty pissed about the sudden, ridiculous, thunder-and-lightning-out-of-freaking-nowhere downpour that randomly came to town. I stood there for a second, trying to decide whether or not I should get out in the nasty storm. Well... I'm a completely ridiculous person, so I decided: Yes, Ashley. Brilliant plan. Of course, I never seem to have a freaking umbrella when I need one, so another genius thought popped into my head: Umbrellas are overrated. Just run like a moron. When I got into my car --completely soaked and freezing-- I realized just how stupid this little idea really was. But regardless... I'm an idiot, so I started my car and drove away. When I got to the highway, I realized that I wasn't the only dumbass who decided to drive in this mess. There were a lot of other idiots taking joyrides that day. Sure, they were probably all driving toward home... instead of away from it. But that's not the point here. The point is... I had company. Even with my windshield wipers on full-blast, I still couldn't see much of anything. But... because I'm so damn stubborn (and stupid), I turned onto the highway anyway. And at a speed of about 5 mph, I figured I'd arrive at my destination... sometime before next week. Suddenly, I saw another car up ahead of me, quickly swerving from one side of the road to the other. I could see that they'd almost hit something, and I watched them speed away. So... I inched closer, trying to make out the object that they'd almost nailed in the middle of the road. There was a black dog, aimlessly wandering in the middle of the highway. The rain was violently beating down on him, and I knew that he must be freezing and terrified. Especially since his life was almost taken by that reckless car, who didn't even stop to check on him, after they almost killed him. Well... if you know me, then you already know what happened next. During one of the worst thunderstorms we'd had here all year, I pulled my car over to the side of the highway, turned on my flashers, and stepped out into the ridiculous downpour. I walked out into the middle of the busy highway, in the pouring rain, and offered my hand to the shivering dog. He looked up at me, with these big, desperate eyes that said: "Please help me." I didn't think twice. I picked him up, threw him over my shoulder, and ran back through the rain, toward my car. I loaded him up and drove away. I stopped at a near-by gas station, and asked the man behind the counter if he'd ever seen this dog before. He said, "Yep. That dog comes up here every day. He ain't got no family. He's just been wanderin' around here for months, lookin' for scraps." That was all I needed to hear. I got in the car, and headed back toward Lucky Dog. As I was driving, it suddenly hit me... Holy crap, Ash. You just took in another dog. I didn't have room for another dog, and I'd promised myself that I wouldn't take any more pups until some space opened up. But desperate times call for desperate measures, and this poor dog needed help. And I couldn't deny that I was meant to save him... since he was placed directly in my path that day. We pulled up at Lucky Dog, and, once again, ran through the rain like idiots. The dog was shivering uncontrollably, so I gave him a nice, warm bath. Afterward, I wrapped him up in a big, snuggly blanket and held him in my lap. Then, it was time to pick a name. I said, "Are you a Toby?" He looked up at me, and then kissed me on the cheek. I responded, "Alrighty then.Toby it is." 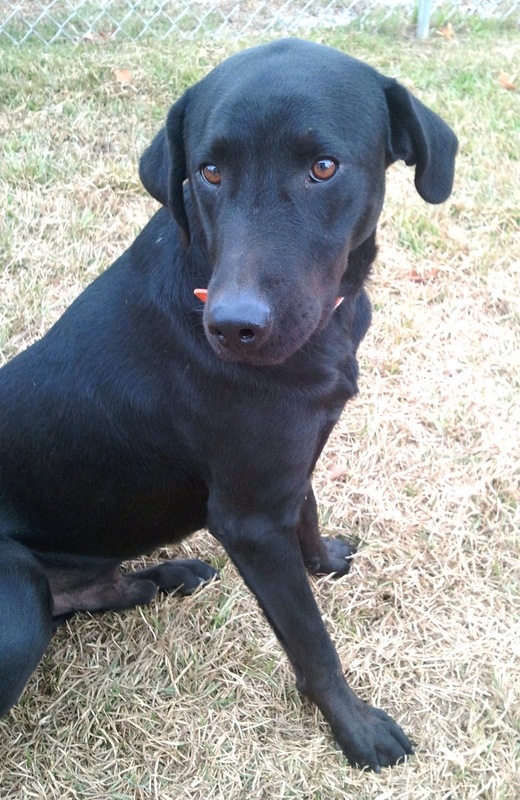 Toby is a gorgeous, 1 year old Black Lab. He's super loving and gentle, and he's extremely well-behaved. He loves to play with other dogs, and he loves children. He even likes Mister Kitty! Toby loves to cuddle. He loves car rides. He loves walks on a leash. Basically, he loves everything, and he will love YOU. 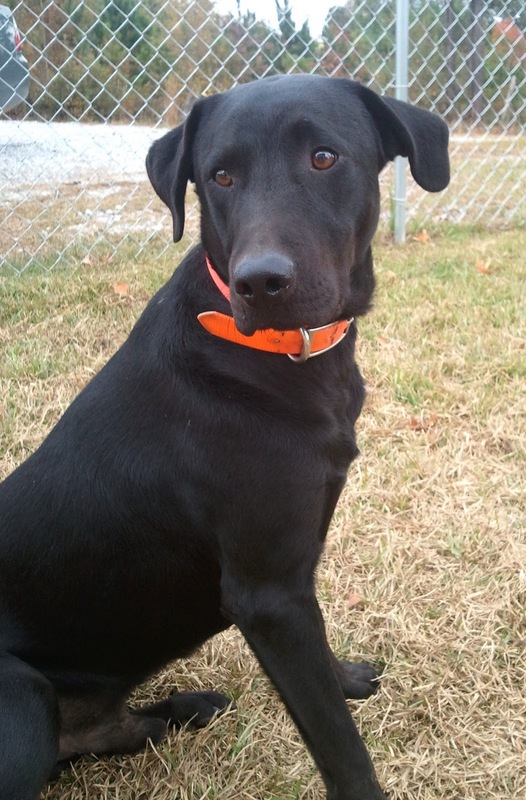 He's been fully-vetted, including vaccinations, neuter, and heartworm treatment. Now, he just needs a family to love him forever. *Toby is available for adoption with Lucky Dog Rescue in Meridian, Mississippi. Transport can be arranged to amazing adopter. 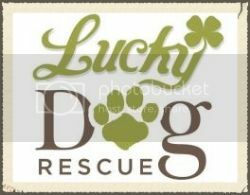 Adoption application, home check, contract, & fee are required. UPDATE: TOBY HAS BEEN ADOPTED! what a beautiful lab!!!! so happy you/he found you/him!! YOU are one incredible human being, Ms. Hill. And Toby is a very lucky boy to have met you, just when he needed you the most. Bless you and the good work that you do! You are a crazy but wonderful woman! If I lived closer I would help all I could! But,Arizona is far from Mississippi. Good luck in all you do! I hope you find Toby a wonderful forever home. Labs are THE best dogs for everyone with other pets and kids! Oh Ashley! I am so glad this boy found his angel! You really are an angel for the furbabies. I would so take him if I was in a position that I could. Next spring I'm hoping to finish fencing in my yard, then I would think more about it. Black dogs are absolutely awesome! Thank you so much for all you do! You are so great. I hope you find a home for Toby.My baby girl is part black lab. I will keep you and Toby in my prayers. What a handsome fella. Has he had the opportunity to play in some groups or at the dog park? What kind of training has he had, as far as y'all can tell? Toby loves to play with other dogs! I've been working with him on training, etc. He's very well-behaved, and very eager to please. He knows "Sit" and "Down"... and he's learned to walk great on the leash. When I flew out to volunteer with Ashley I took a dog back to my hotel room every night for some special time. One night it was Toby's turn. He was such an amazing dog I was stunned! Walked great on the leash for bathroom breaks, was such an amazing snuggler and listen to me like he had known me his whole life. Whoever adopts Toby will be so lucky! 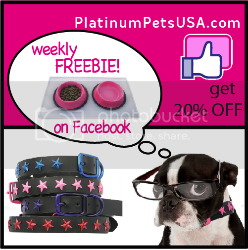 I'm so glad I found pet pardons are your site....love reading your blogs!!!!! I wish I was closer ....i would help any chance I could.... Maybe I could be the next you up in wisconsin:) thanks for all you do!!!! Would Toby be able to be adopted if I live in buffalo ny? I couldn't agree with anonymous #2 more! Way to go, Ashley! I'm in CA and would love to take this little guy home, but I don't think my boys would allow another male in the mix and I'm sure transport for a trial wouldn't be possible. Instead, I will keep donating to your org as much as I can when I can and keep an eye out for a girl doggy that I could adopt. Toby is ADORABLE!! God bless you and him!! Toby really is adorable!! I mean, look at the amazingly cute cucumber beak!! I think that's what I would've named him: Cucumber Beak! Does he get along with all the pit bulls there and vice versa? I do hope someone with a heart of gold and plently of love and room to spare gives this ol' boy the perfect home he deserves so much. I just discovered your website yesterday fumbling around on facebook. I read your entire website already. I look foward to reading your blogs on a daily basis. Not only are you good with rescueing dogs you are good writer and you are so inspiring! 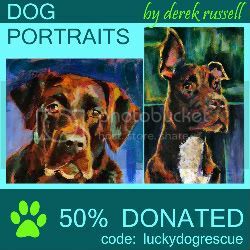 Being a single mom of 3 kids and a boxer rescue dog myself, I can't really take on another dog but when the opportonutiy arises I would love to help out your organization. Toby is absolutely adorable! Thank you for being his angel. I hope he finds a wonderful home soon - he certainly deserves it. Happy Holidays ashley....we love you ! You have an uncanny knack for being EXACTLY where you need to be, and when. You went out because Toby was calling you. And the dogs you helped before kept him, and you, safe as you made you perilous trip across the highway. He is where he is supposed to be, for now. I am sure he will find a forever home soon. You should be nominated for sainthood. Love the work you do. Ashley you absolutely crack me up. We seem to have similar conversations with ourselves! You have truly become an inspiration to me. You have join ranks with my other animal hero idol- Janice Wolf of Rocky Ridge Refuge in Arkansas and Randy Grim of Stray Rescue of St. Louis here in my home town. I can only hope that someday I will do such great things! Thank you for all that you do and just being you! God truly does work in mysterious ways, he put Toby in your path knowing you would help him, now someone is going to help you and adopt Toby. Thank you so much for all you do for our little fuzzy friends. You have got to be the closest thing to a "True Angel" here on this earth!!! And I think I LOVE YOU!!! You never cease to amaze me, with your stories, and you ALWAYS make me cry while reading them. I just want to tell you how TRUELY AMAZING you are, in case no one has said that to you today....You are MY HERO for sure!! Precious boy!! so glad he is finally safe, poor guy. Did the fan get to you yet? Ashely. You're simply amazing. An amazingly beautiful person. I wish everyone had your heart. Keep spreading yours wherever you go. We need it. What a beautiful dog ! forgot to add that he was dumped in the parking lot in those two minutes i was in the store...people are so cruel...but the happy ending for the kitten was amazing!!!!! Ashley! I want him so bad, but I live in ASIA. Ugh. :( He's gorgeous, make sure to find an awesome home for him. He is a beautiful dog...I hope he finds his forever home, he definitely deserves it! You were his guardian angel. You are ALWAYS where you are supposed to be; Lucky Toby! Ashley, you are truly an inspiration to us. When most people sit back and say "I wish there was something I could do" you just get up and do something. I'm sure you have many angels watching over you, because you are an Angel to so many . I found my dog on the interstate too, he was sick and scared. I'm praying for Toby to find his forever home. Bless you for picking him up. I'm so glad you made the decision to get wet, you were meant to find Toby and him you, I know you will find a for-ever home for him. Keep up all the great work you do and Thank-you for doing it!!! Thank you, thank you, thank you! I LOVE your heart for dogs. We are like-minded! Toby is beautiful, just beautiful! And, lucky to be alive today! I will pray Toby gets the wonderful, loving, home he deserves. God bless you Ash!!! I truly believe you are an earth angel God put on this earth. He knew you would love and care for his babies. Thank you for sharing your beautiful heart with these babies. You are an amazing person. God bless you. this story was truly heartwarming! just so you know it was a little stupind to get on the freeway, but it was not stupid of you to get out of the car to rescue a dog that needed your help! you are anything but a stupid person, ashley!!! love you to death!! !